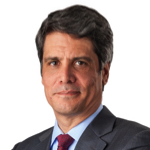 Bret Padres is the Chief Executive Officer of The Crypsis Group. He has over 25 years of experience in information security, digital forensics, law enforcement, electronic discovery, and counterintelligence. Mr. Padres has responded to, investigated, remediated, and advised legal teams on issues resulting from some of the highest profile retail and state-sponsored data breaches in recent times. In addition, he has testified as a digital forensics expert in a number of trials, including an espionage case in federal court. Mr. Padres began his career as a computer programmer and later became a Special Agent in the U.S. Air Force Office of Special Investigations. He went on to serve as the Chief of Research and Development in the Computer Crimes Unit for the U.S. Postal Service Office of the Inspector General, where he conducted investigations in addition to overseeing the research, development, and implementation of new computer crime technologies. In the private sector, Mr. Padres was most recently a Managing Director at Stroz Friedberg where he managed the firm’s execution of their Cyber Resilience practice. Mr. Padres was also the Director of Incident Response for Mandiant (later acquired by FireEye) and served as the Director of Cyber Operations at Athena Innovative Solutions, where he directed network surveillance and intrusion detection counterintelligence operations for U.S. government agencies. He holds a Bachelor of Science degree in computer information systems from Excelsior College and holds a number of professional certifications. He has developed a number of open source digital forensic tools and co-hosts an Internet radio show, where he interviews industry experts and explores digital forensics, network security, and computer crime topics.